Ealing's Parking Charges - An Illegal 'Cash Cow'? A Conservative Councillor believes Ealing could be breaking the law over CPZ price rises. Northfield ward representative, Councillor Phil Taylor, has been looking into the charges following a recent high court ruling about another local authority. 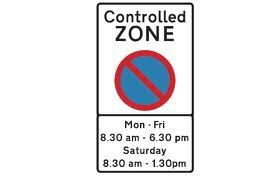 In July a judge ruled that Barnet council had acted unlawfully when it increased the cost of residents' parking permits and visitor vouchers in controlled parking zones (CPZs) to raise revenue. In one year Barnet parking permits went from £40 to £100 and visitors’ vouchers went from £1 to £4 for an hour. Over the last three years parking permits in Ealing have gone from £25 to £50 and £45 to £80. Visitors’ vouchers went up from 40p to 60p for some people but they went from 3 hours for 40p - to one hour for 60p - a rise of 350%, for others. In 2009/10 the council had a CPZ income of £1.39 million. Last year it was £3.24 million, a rise of £1.85 million or 133%, more than double. “I believe that Ealing is breaking the law in the same way as Barnet and using CPZs as a cash cow. ''Our figures show that, even when taking into account the most recent increase, the cost of administering residential parking is still more that the income generated. The difference is subsidised by council tax payers, many of whom don’t even own a car or live in a CPZ.